The Dragon Quest series' iconic slime creature has become a mascot for the JRPG, though its origin is not of Japan at all. 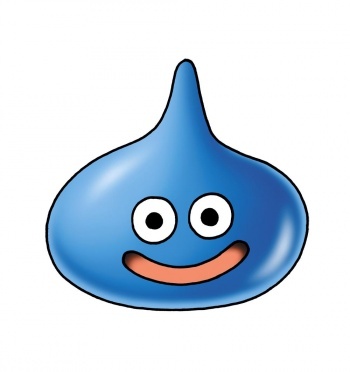 Dragon Quest's slime is usually the first monster encountered in any of the series' nine main entries. Not only is it cute, cuddly, and loved by all, but it sometimes morphs into larger forms possibly strong enough to send players back to an inn with only half of their gold. Who would have thought that it was inspired by creatures from western RPG Wizardry? Dragon Quest creator Yuji Horii spoke to MTV Multiplayer about the origins of the slime and said: "I was really hooked on Wizardry the PC game, and that's kind of where I got the inspiration for the Slime." "There's...slime-looking characters [in Wizardry], so I got the inspiration from it," he continued. "I was doodling the slime-looking character and I took it to Mr. Toriyama, who did the character design, and he made it the Slime we see today." Surprising? It actually shouldn't be. Wizardry, a first-person RPG series created by Sir-Tech in the 1980s, was very popular in Japan. Its influence can still be seen in JRPGs such as Etrian Odyssey and the popular Shin Megami Tensei series with Shin Megami Tensei: Persona and Shin Megami Tensei: Strange Journey. Wizardry has survived to this day in Japan with new titles released on the DS and in development for the PS3, though Wizardry 8 for the PC was the last major entry released in North America. So there we have it: The most popular icon in Japanese RPG history was created thanks to a western RPG's influence. Go western RPGs... I guess? I consider myself a resident of the world, so it doesn't really matter, but any Western RPG fanboy has another factoid to put in his book. Horii's latest, Dragon Quest IX, will be released in North America on July 11 if you want to get a look at the latest Wizardry-inspired slimes.